Non-skid foam parts are manufactured with pressure sensitive adhesive that can be conveniently applied to a variety of surfaces. Textured foam provides anti-slip protection and 3D spacer applications for point of purchase. Use custom cut shapes as non-slip feet for P.O.P. projects. You can use them on materials such as wood, chipboard, powder coated materials, glass, acrylic and plastics. Non-skid foam is supplied as diameters and pads, hexagons, squares and custom pieces to fit your special needs. 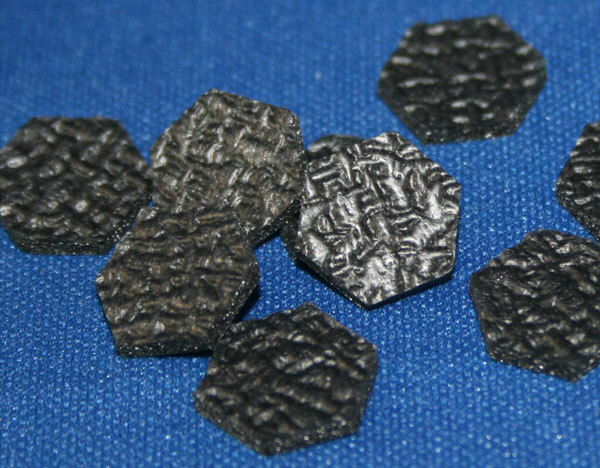 Supplied in rolls, cut-to-width pieces and pads or die-cut dots, hexagons and other custom shapes. Textured, anti-skid foam pieces are made of high quality materials with pressure sensitive adhesives that can be applied to a variety of surfaces. Self-adhesive foam is available with an aggressive, rubber-based adhesive or permanent acrylic. Just peel buttons from the liner and stick them to your surface.